When choosing home flooring, there are some aspects you may want to consider. In Singapore, the original preference was solid wood flooring. This is true for inside the home as well as balconies and decks. The most expensive choice may not always be the best choice, however. Depending on your lifestyle and budget, you may need to consider laminates which can look quite natural. 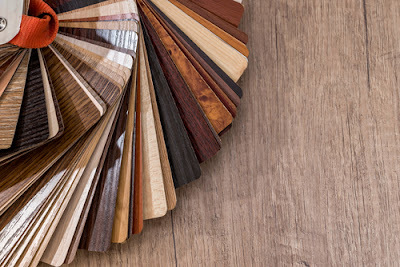 Here are some things you may want to consider when making the choice on your home flooring. · What kind of material it is (will it hold up to the climate of Singapore). · The style. What kind of look do you want your home to have? If you have a young family, you may not want to get expensive flooring that can’t hold up to heavy foot traffic. · Solid wood signifies a certain amount of wealth and it has an aesthetically pleasing look. · The core and the surface is completely wood and has been used for centuries. It is also termed as hardwood flooring or timber panels. · Hardwood home flooring gives a natural feeling within the home. · There are various hardwood options that include walnut, oak, maple, pine, teak, and the more modern twist of bamboo. · The latest option is solid palm wood decking which is a renewable natural resource. It’s durable and resistant to weather variables. It can be used for indoor or outdoor flooring. · Wood flooring can be cut down to strips that will create stunning patterns known as parquet. Once very popular, solid wood is losing its fan base in Singapore due to eco-conservation concerns. The reduction of worldwide forests is putting people in a more conscious headspace. Most people are willing to switch to eco-friendly home flooring like engineered wood and laminates. Solid wood floors aren’t always easy to maintain either. If you do have a family with young kids and/or pets, there’s risk of damage to your wood flooring. Some kinds of wood will also darken as they get older. · Laminated floors are made from a melamine resin and fiberboard material. · They were created by Pergo in the 1970s and gained popularity quickly. · On the top layer, there is protective coating and an imprint of an image meant to mimic the look of real wood. · Laminate home flooring is popular because although it looks like real wood, it costs much less and appeases the eco-conscious consumer. · The range of options are vast. You can choose many designs such as really grainy (like oak) or more of a pine look. · The colors options are also endless. · Laminate home flooring is easy to maintain, it’s durable and it boasts a long life-span. · It is also easy to install and can be put on overtop the home flooring you already have. It’s important to note that cheaper laminate floor brands emit a concerning amount of formaldehyde gas. Some of the European companies emit lower amounts of formaldehyde so they’re seeing an increase in popularity in Singapore. Some people have found a problem with low-quality floor boards warping. They may sell up also and you’re left with a bump in the middle of your home flooring. Laminate flooring board may not be able to handle the humidity of the Singapore climate. This is especially the case if it’s cheap. It may also be that the ground below isn’t level. Regardless, the flooring doesn’t last long if you install low-quality home flooring in an area of high humidity. Moisture protection can help reduce the risk of warping and bubbling. They usually come in a high-quality laminate wood flooring option. While many love the traditional hardwood flooring, it can expand and contract when the temperature changes. Singapore doesn’t experience drastic changes of temperature but sometimes even subtle changes can make your door drag on the floor all of a sudden. · The tropical climate where humidity levels are high can cause warping to the hardwood. · A termite army may also be a concern if you stay near an area with a lot of trees. They can weaken the foundation of the wood floors, forcing many to use a lacquer to protect the floor. Not an appealing idea for some who are after a specific look for their home flooring. · Nails may even make a clicking noise as they are manipulated by the movement of the wood expanding and contracting. 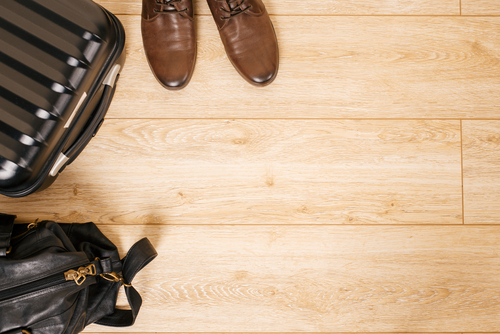 · When it comes to laminate floors, they can also be a problem in constant humidity. The benefit is that they don’t contract or expand due to temperature changes. · Regardless of the high quality of your laminate floors, if you have high humidity in specific rooms, they may still warp. · A room that requires consistent air conditioning due to moisture may require a high resilient flooring which is waterproof. They can handle high humidity and are also slip resistant. · Hardwood can only be installed with a plywood subfloor. · Professional installers will ensure the subfloors are clean, smooth and free of debris. · They ensure subfloors are straight and level. · Subfloor and hardwood underlay should be laid down based on the kind of hardwood flooring you’re having installed. This is because of hardwood’s lack of flexibility from temperature changes requires bottom support to prevent major damage. 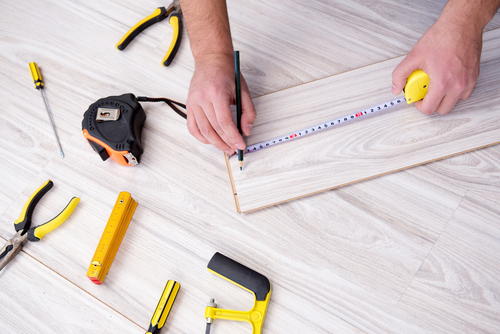 · Installing the hardwood which involves nailing it to the subfloor. · Buffering, hand sanding, and refinishing may be necessary several years down the road in order to ensure the luster of the hardwood. · Prepare the existing floor and use existing underlay if it’s still in good condition. Clean the floor to ensure you don’t apply the laminate over debris. · Measure and ensure that the floors won’t be too high for the doors. · Stick laminate flooring over the subfloor.